“Our success as a restaurant service provider is largely due to Ali Husayni and his great team of SEO experts. My business has grown many folds and we rank well above our competition for most of our keywords. We canceled our Adwords as we don’t need it anymore. Thank you Millionairium,” says Massoud Farazandeh, the owener of www.hoodbuilder.com. 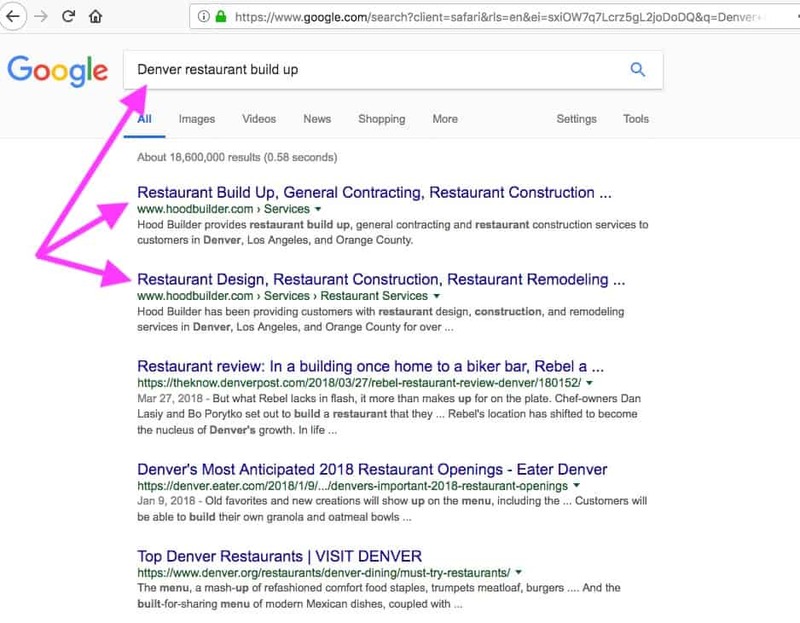 About two years ago, Massoud decided to hire his long-time friend and our CEO Ali to help him grow his business using Internet Marketing and Google SEO in particular. At the time, Hood Builder didn’t have a professional website. So, Ali suggested building a site that truly represents who Hood Builder is. 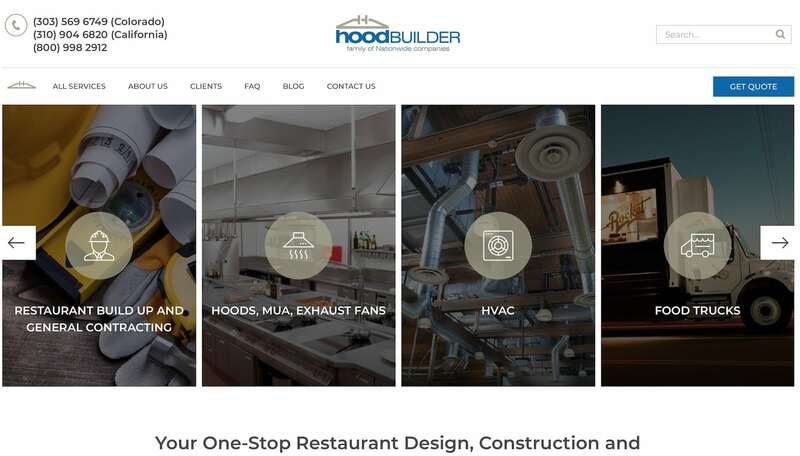 The work was vigorous mainly because Hood Builder offers many different kinds of services – all related to restaurants. It took our team well over six months to finally build the site that both Massoud and our team loved. Farazandeh’s visibility percent on Google has increased to 45.39%. 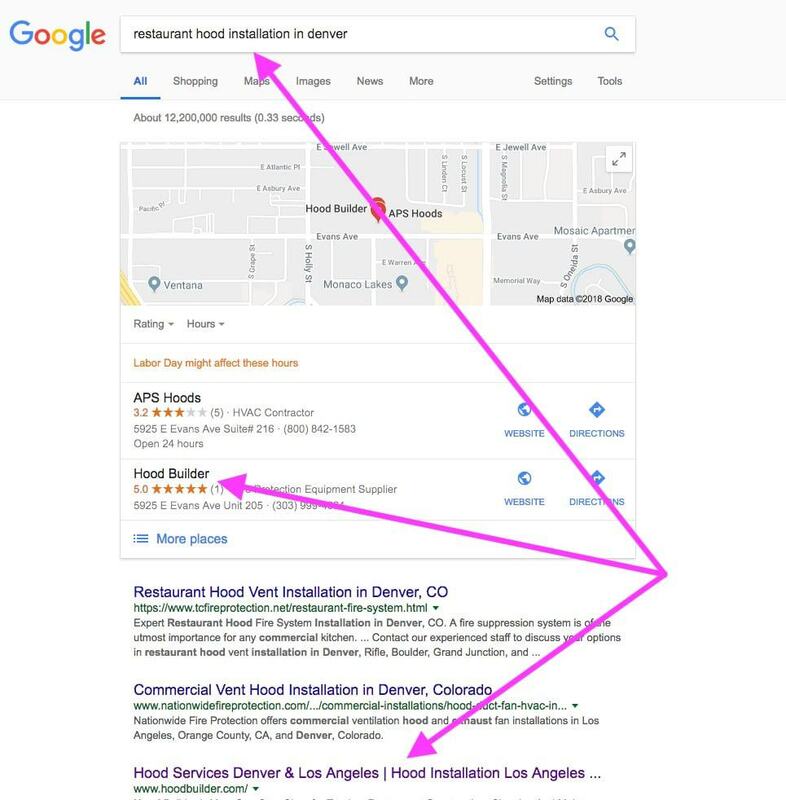 or “restaurant hood installation in Denver”. This has resulted in increased traffic and leads to Hood Builder’s business. 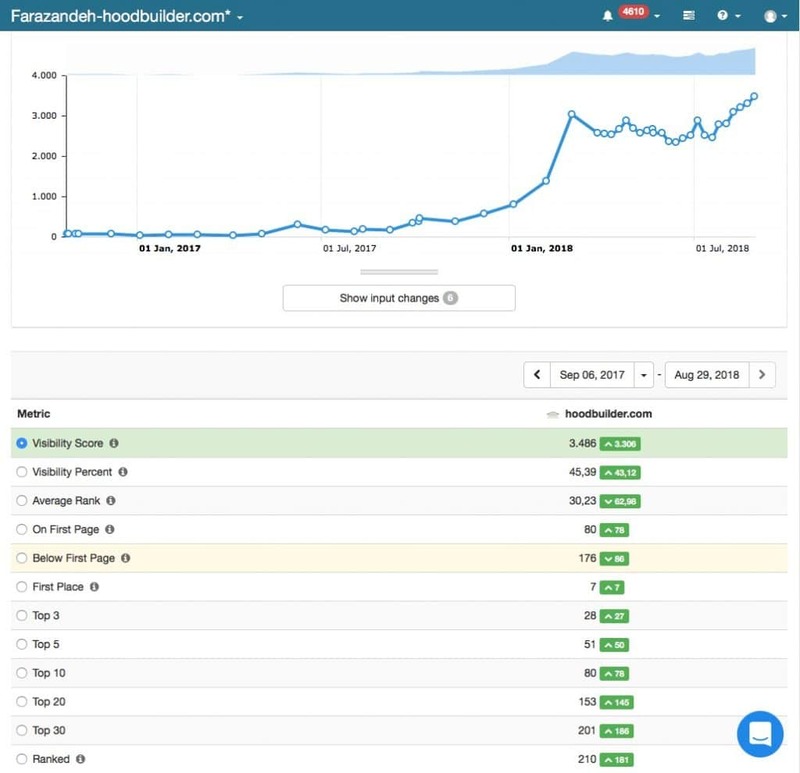 In the 12 months between October 2017 and October 2018, hoodbuilder.com’s traffic has increased by 197% from 462 to 1,376 visitors. 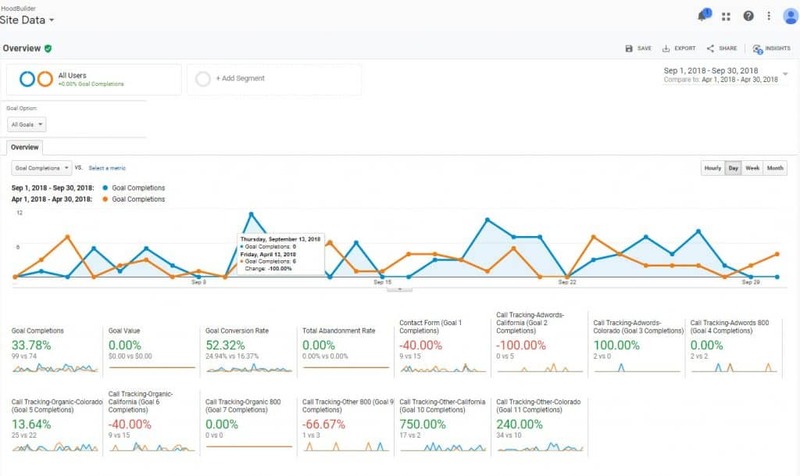 Consequently, total number of leads has increased from 74 in 2018 to 99 in September 2018.